Getting some CHRISTMAS crafts done! It’s always difficult to ‘get in the mood’ for Christmas crafting this early. Even MORE so this year as we are having an INCREDIBLY warm and sunny October! I just want to work outside on my bigger projects all day when it’s this nice! Alas, I must FORCE myself to work on indoor crafts. These are what I’ve started on. I bought the mini bird cages on clearance this past spring. Intended to paint the red ones white or aqua, just never got around to it. 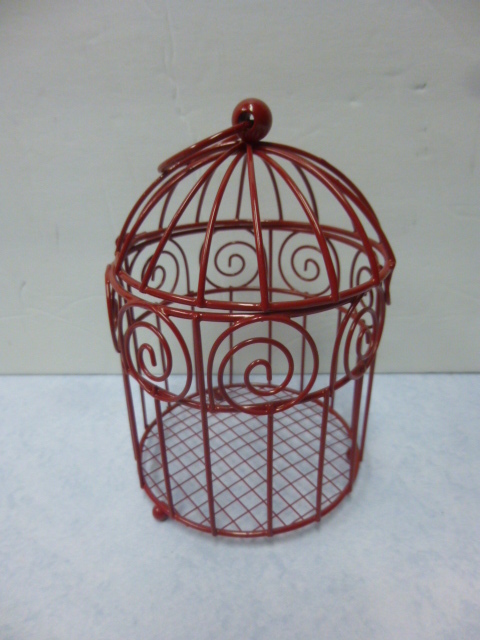 As I was packing away my spring craft supplies I thought MAYBE I could come up with something to do with these red bird cages for Christmas. So then I dragged out my many boxes and bins of Christmas craft supplies and found these itty bitty spool snowmen I made last year, but never got around to actually doing anything with. They are just 2″ tall, btw! 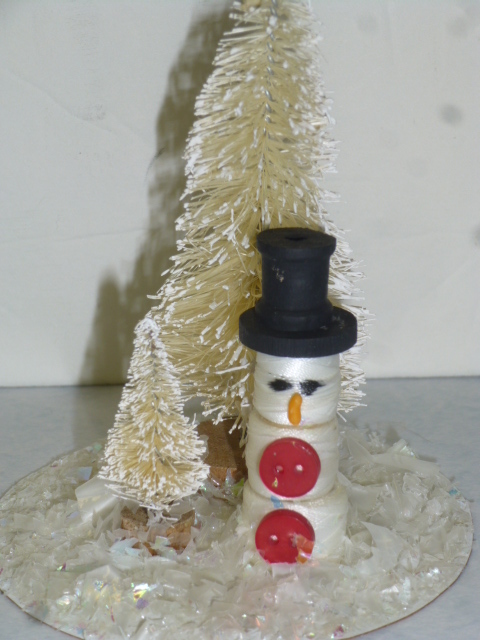 Here’s the post that shows how I made the snowmen last year. 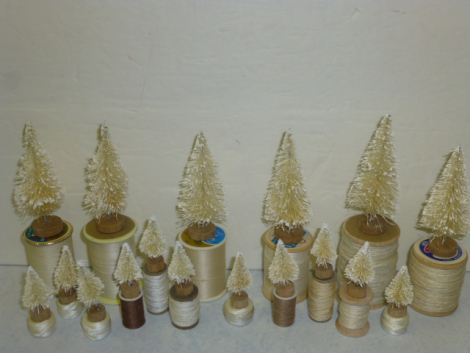 I also used some of the tiny spools (and some larger ones!) to mount little bottle brush trees on last year. Had a few unmounted trees left also. I cut out some circles out of old cardboard to fit inside the cages and glued the trees and snowmen in place. Once dry I applied a coat of glue and sprinkled on the snow. And just slip the whole thing into the cage. 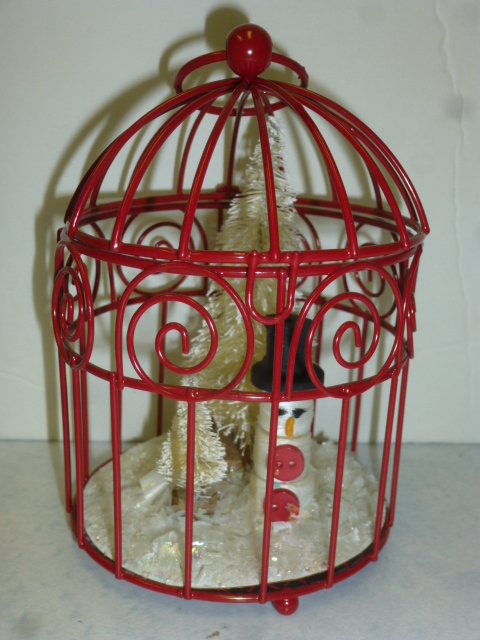 The snowman scene is actually REMOVABLE, so if you want to use the cage for other decorating projects after Christmas you can!